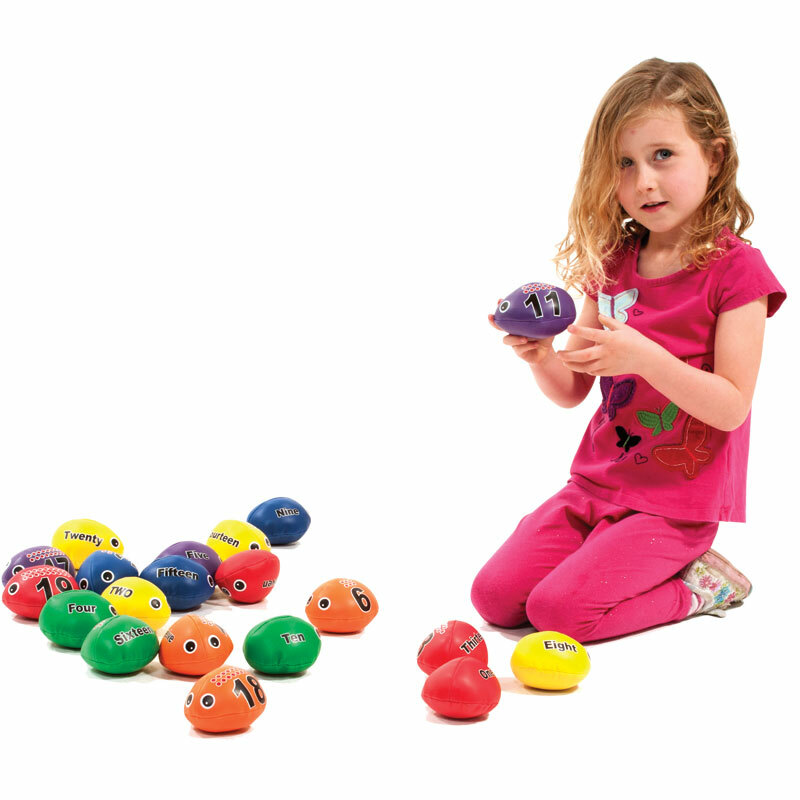 These colourful PLAYM8 ® Number Beanbag Bugs come in a pack of 20 with a storage bag and are a fun educational tool. A great way to help children learn how to count from 1-20. Ideal for throwing catching, tracking or include them in gross motor skill games in place of balls or beanbags. Set of 20 bugs in various colours. Made from soft, durable wipe clean PVC.